In news that will no doubt sadden her many fans as well as the comedians she's inspired over the years, Joan Rivers has died at the age of 81. Last Thursday morning Rivers was rushed to Mount Sinai hospital in New York City when she stopped breathing during an in-patient throat procedure. Soon after this news was released, it was reported that Rivers was in critical condition and that her heart had stopped beating at one point. Since then, her daughter, Melissa Rivers, has given consistent updates as to her mother's condition. On Wednesday, Melissa released a statement saying that Joan had been moved from intensive care to a private room. Melissa confirmed the news of Joan's passing in a statement that is available in full below. Rivers, who was born Joan Alexandra Molinsky on June 8, 1933, had a long career as a comedian starting as a standup comedian in the early 1960s. Rivers came to popularly on The Tonight Show with Johnny Carson. She started as a writer on the show in 1965 and went on to spend 21 years on the show altogether, becoming Carson's permanent guest host in 1983. 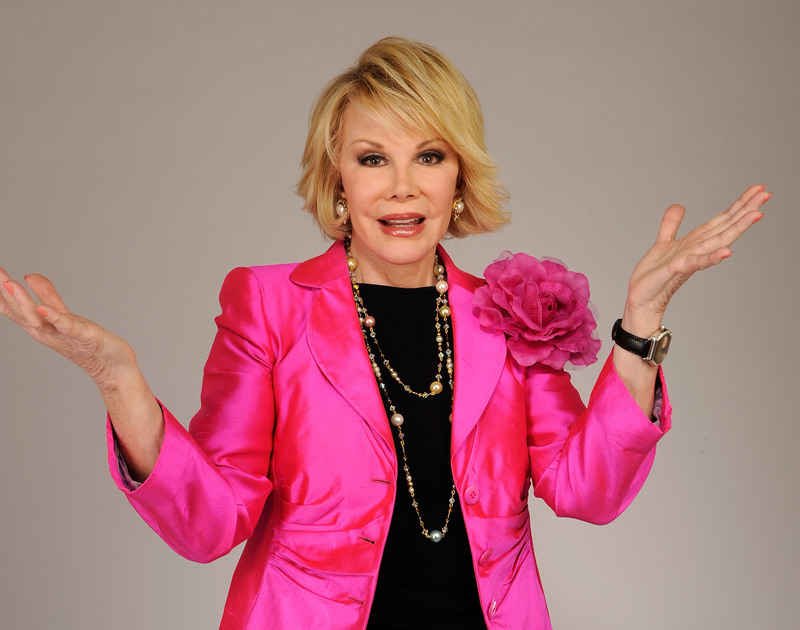 Rivers landed her own show on Fox in 1986, The Late Show Starring Joan Rivers, which was canceled the following year. In the 1990s, Rivers began hosting red carpet coverage at awards shows. Her show, Live from the Red Carpet, ran from 1996 to 2004, and Rivers was often joined by her daughter, Melissa Rivers. In 2010, Rivers began hosting another show for E!, Fashion Police, and was still working on the show's current season at the time of her death. With such a lengthy and successful career, and the way she was always so young at heart, Rivers will always be remembered as a hilarious voice in comedy, an inspiration for women, and proof that personality, wit, and drive do not diminish with age.